Sometimes it takes a little friendly competition to get your customers engaged. That's why it's so common to see freebies, giveaways, and contests posted online and in retail stores. The trick, of course, is finding a contest that your customers are interested in winning. You know your customers best. 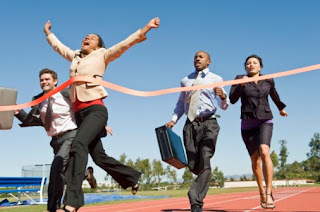 Selecting a contest to run can be fun for everyone, especially if you can find a way to get your employees excited, too. One of the funniest and most entertaining ideas is to host a video contest. People are mad about videos these days, and they love to share them on Facebook and other social media sites. According to Social Media Examiner, one such contest by the snack company Doritos brought an immense return. The contest is called "Crash the Super Bowl" and asks customers to create commercials for their chips. Can you just imagine how much fun customers have creating these commercials? Let's not even begin to discuss the fun of sharing the commercials on Facebook. So while your company may not be as big or popular as Doritos, you can see how this idea can go viral quickly. Dunkin' Donuts uses contests to tell customer stories on Twitter. They asked their customers to post how their coffee fits into their day. As you can imagine, many customers came back with responses to this request. Winners starred in their own Dunkin' Donuts commercial, and these videos were shared on YouTube and Twitter.